Prayers and thoughts with Nicky and the Hayden Family. Damn, that's terrible news. Will keep him in thoughts and prayers. 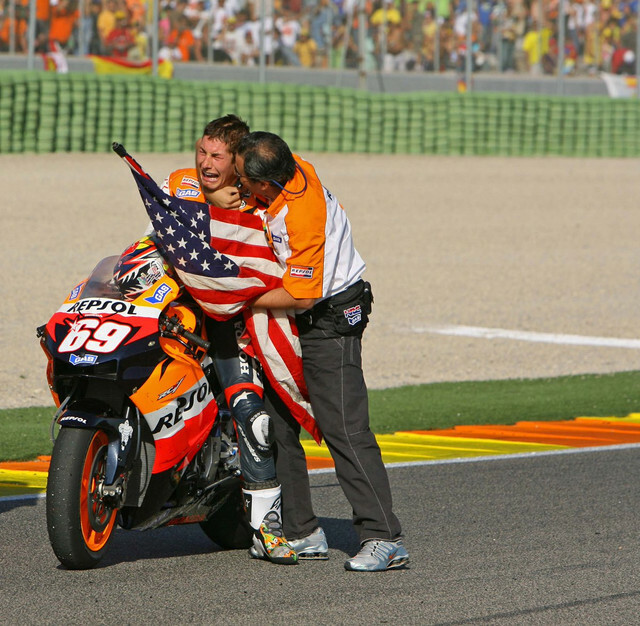 And 'hospitalized in extremely critical condition in the intensive care unit of Cesena Bufalini with doctors who are trying to save his life, the American rider Nicky Hayden. The 36-year old, after the terrible accident that saw him come over by a car on Wednesday afternoon, reported a thoracic polytrauma and traumatic brain very serious and it arrived in a state of unconsciousness in the ER dell'Infermi, the 36 year old driver of the Team Honda World Superbike was involved in a car accident while training bike, and after being stabilized by the health of the Rimini hospital emergency transferred to "buffalo" in Cesena. It 'still hospitalized in critical condition, with doctors who have reserved prognosis, due to very serious injuries reported after the collision with a car and have procured, the American rider, a multiple trauma cranial and abdominal. Roger Lee is on a plane to Italy to be with his brother. 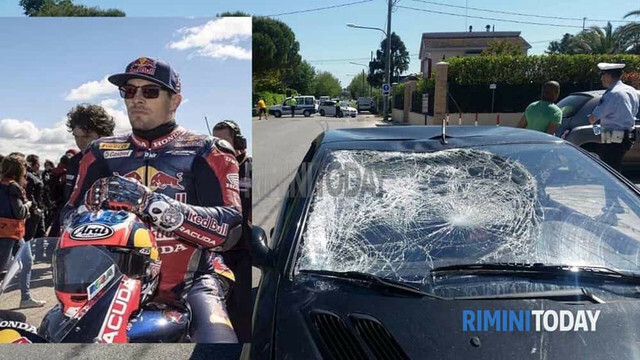 another over-seas website translation - "
Nicky Hayden , was involved in a serious car accident in Rimini, in the early afternoon, while he was training bike, was transported to the Bufalini Hospital in Cesena, a few hours after the incident . The medical team of Romagna structure , particularly well-known and appreciated for its neurosurgery department, is currently unable to operate on the pilot, due to the widespread hematoma which causes a too high intracranial pressure, to think to be able to intervene . It has been tried to reduce such damage with a suitable probe, but still the result was not considered satisfactory. In addition to this result, Hayden suffered back injuries and a fracture to the pelvis and the femur . For the mouth of Dr. Senni, head of communications Cesena Hospital, the American rider is currently hospitalized in the intensive care unit, and is defined as in a "very serious". A new update will only be issued tomorrow morning. That is terrible. Prayers for him and his family. 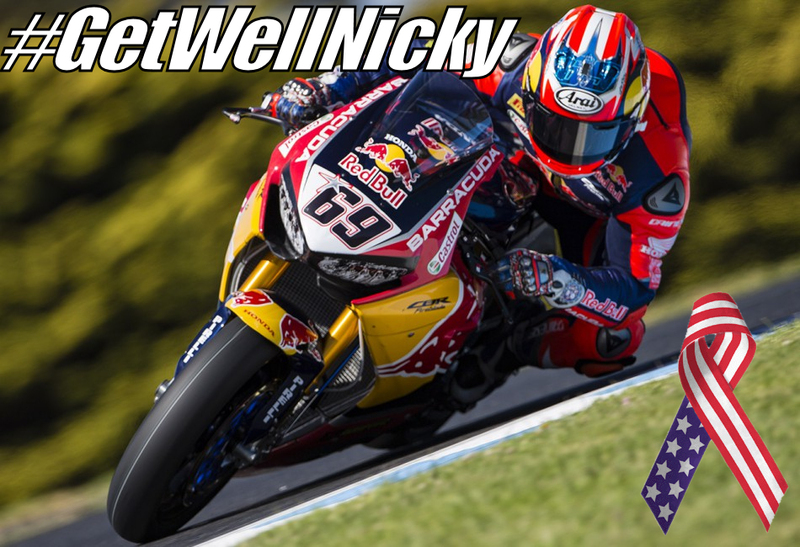 'The Red Bull Honda World Superbike Team would like to share the latest news on Nicky Hayden. 'As well as having his fiancé Jackie by his side, Nicky has now been joined by his brother Tommy and mother Rose who arrived in Italy from the United States earlier today. 'Below is a statement on Nicky's condition from the Maurizio Bufalini Hospital in Cesena, Italy. “Nicky Hayden's clinical condition remains extremely critical. "The young man, who is still in the intensive care unit of Cesena's Bufalini hospital, has suffered a serious polytrauma with subsequent serious cerebral damage. There are unconfirmed leaks from the hospital that Nicky is being diagnosed as Brain Dead and life support could be turned off in a few hours. I am praying that this is completely false information. That is terrible and a great loss to the sport. Feel free to share EVERYWHERE!!!! He accomplished more in 35 years then I have in 51. God bless Nicky, and Godspeed. Rest in peace. 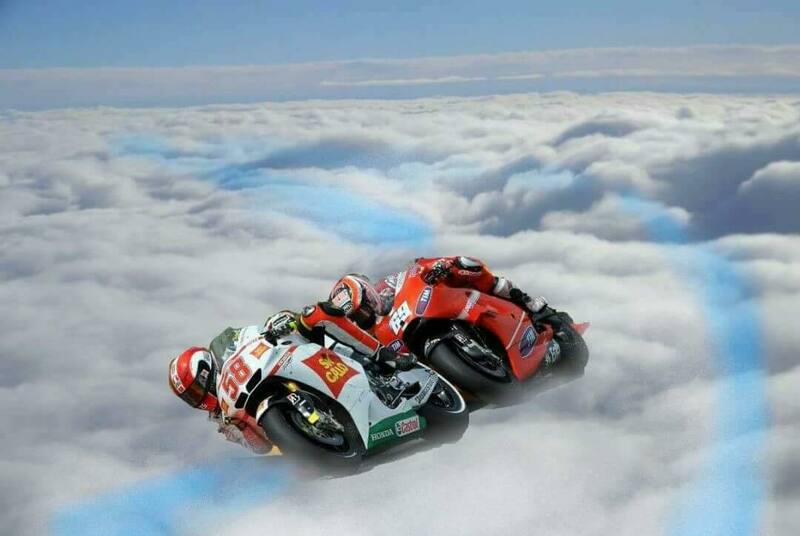 He is now up there turning fast laps and trading passes with Marco!! 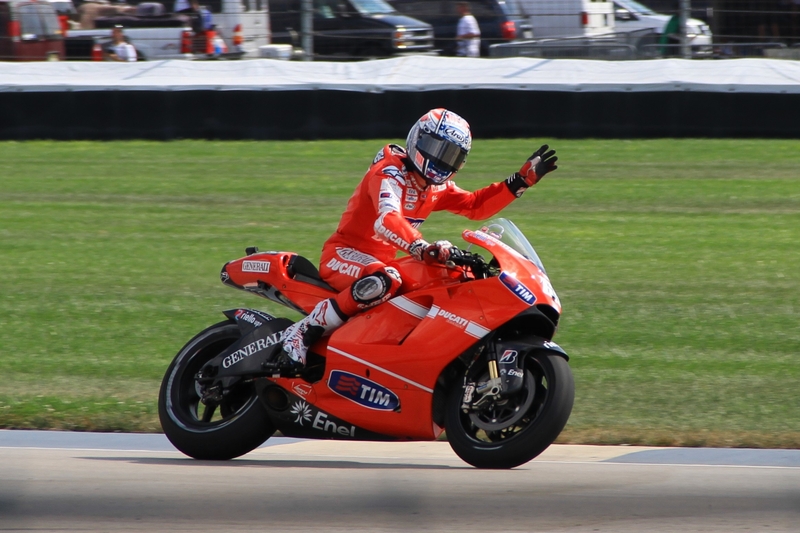 Going through my pics from the 2010 Indy GP.